A native Washingtonian, Pierre uses his honed knowledge of local “micro markets” and extensive real estate expertise to guide homebuyers and sellers through the real estate process. What Pierre loves most about the real estate business is the client relationship as there is nothing he enjoys more than truly getting to know his clients in order to match them with the perfect property, or to maximize the sales price of their home. Pierre is always negotiating the best terms for his clients and when met with tough challenges, uses his creativity and skill to develop strategies to work through them. Pierre's clients appreciate his responsiveness and recognize him as a true advocate who provides dedicated representation. Prior to becoming a real estate professional, Pierre worked as an auditor and CPA with Deloitte & Touche in McLean, Virginia, and an accounting manager for Ruesch International in DC. These experiences in the financial world have helped Pierre sharpen his analytical skills and position himself as a leader in the real estate industry. Pierre’s sense of DC community extends to the local culinary scene, as few of his passions rival his love of food and wine, fostered from 38 years spent at his family’s restaurant in Adams Morgan (La Fourchette) and his graduation from the Culinary Institute of America in 2007. True to his DC roots, Pierre graduated from Holy Trinity Elementary (Georgetown), Gonzaga College High School (Capitol Hill), and The Catholic University (Brookland). 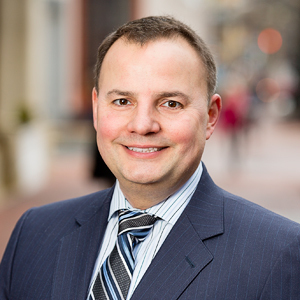 Pierre has lived in Northern Virginia, Adams Morgan, Columbia Heights, Dupont Circle, Georgetown, and now calls Chevy Chase home since 2011​, where h​e lives with his wife and two daughters. Pierre is licensed in DC, Maryland, and Virginia.